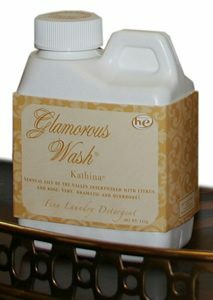 The best luxury laundry detergent for your clothes or linens on the market. With Glamorous Wash, you can enjoy your favorite Tyler Candle fragrance all day long and even snuggle up to it while you sleep! 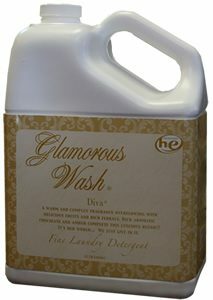 Tyler Glamorous Wash comes in 4 sizes: Gallon size, 32 oz Large, 16 oz Medium and a 4 oz Small size. The amount you should use per load of laundry is 1/3 of a cup however, depending on your preference, you might want to use more or less. 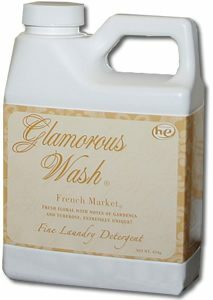 Some people desire a stronger scent and use more Glamorous Wash. Either way, the gallon size would wash between 40-50 loads, while a small size makes the perfect gift. 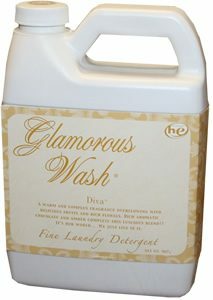 This laundry washing detergent is safe for Hi Efficiency (HE) washers and all types of laundry.